Big news. The Toronto Star is reporting that "The Hells Angels have shut down their elite Nomads chapter outside Ottawa, just a month after hosting a national gathering of more than 500 outlaw bikers." 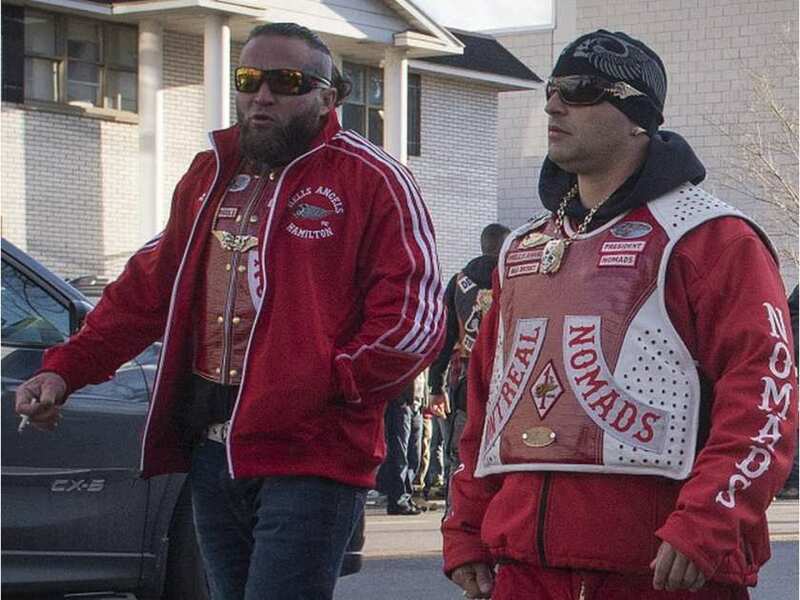 This is also after the Nomads President Martin Bernatchez and the vice president Philippe Boudreau were both shot in two different incidents both in Quebec. The Toronto Star is also reporting that Former Ontario Nomads’ president Paul Porter quit the club and moved back home to Montreal. Porter was the good guy, relatively speaking, who crossed over from the Rock Machine when the last original leaders crossed over after Mom Boucher went to prison. 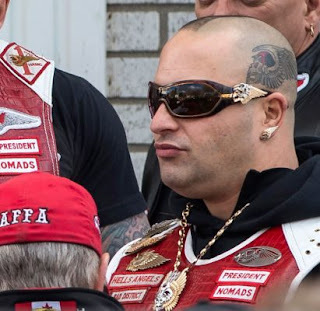 TVA Nouvelle reported that it appeared to be an internal conflict and implied that it is likely because Quebec Hells Angels arrested during SharQ have now been released and want their territory back. Like I said, don't f*ck with Quebec. They will blow sh*t up. Je me souviens. Philippe Boudreau was from Sudbury but wore a Hamilton jacket which is where the Calabrians who were warring with the Rizzutos are from. Quebec sources claimed the Ontario HAs supported the Calibrations when Vito was in prison. Martin and Philippe were pretty solid but other than the guys from Quebec who went there, Ontario never really grasped the MC concept. They were very divisive. Angels Forever Forever Angels. Or at least until more money can be made from someone else. Update: A blog reader just reminded me, the Ontario Nomads is the same chapter local cub pack member Damion Ryan was given a patch out of. Kim Bolan confirmed that back in February. Boudreault is from Sudbury not Hamilton. Yes I think we went through this before but the logo on his jacket in the picture says Hamilton chapter. Boy brother hood is awesome. Shoot your homies while they make u money and keep ur custies happy while you rot in jail. Obviously we need keep these goofs in jail longer. Bobby Dee, how true. these men need stylists. they personally are not dressing appropriately. if this is their idea of high style, they must be getting ready for Halloween. Paul Porter left do it say what he's doing in Quebec? I'm not sure if he's still with the club or not. He's from Quebec originally. all the old guys from Porter's era got pushed out: Mario Sicennes, Allaston, Johnny Spezz commits suicide...read between the lines. I know who drove the vehicle and who fire the gun that injured phil boudreault. Can someone related to this incident get a hold of me. Im not going to police. Im interested in explaining what i know if it means the two people involved will have nothing but pain abd suffering headed thier way. This is far from a joke.....message me if you can relay message to right people/person.